More and more "Baby Boomers" are being told they have Liver Disease, including Hepatitis C. And the "solution" is worse than the disease, assuming you actually have it. If you have Liver concerns, knowing what is causing the concerns and developing a well thought out plan of action versus medicating to mask symptoms would be important. There are many different types of liver disease. But no matter what type you have, the damage to your liver is likely to progress in a similar way. Whether your liver is infected with a virus, injured by chemicals, or under attack from your own Immune System, the basic danger is the same – that your liver will become so damaged that it can no longer work to keep you alive. Anything that keeps your liver from doing its job may put your life in danger. If you experience these symptoms you should speak with your Doctor, or a Holistic Chiropractor, as the sooner treatment can begin the better the long term outcome. The liver is one of the few organs able to regenerate itself. If the problems are caught early enough a liver is often able to make a full recovery. When most other parts of your body become inflamed, you can feel it – the area becomes hot and painful. But an inflamed liver may cause you no discomfort at all. If your liver disease is diagnosed and treated successfully at this stage, the inflammation may go away. If your liver disease is diagnosed and treated successfully at this stage, there’s still a chance that your liver can heal itself over time. If left untreated, your liver may become so seriously scarred that it can no longer heal itself. This stage – when the damage cannot be reversed – is called cirrhosis. Cirrhosis can lead to a number of complications, including liver cancer. In some people, the symptoms of cirrhosis may be the first signs of liver disease. Cancer that starts in the liver is called primary liver cancer. Cirrhosis and hepatitis B are leading risk factors for primary liver cancer. But cancer can develop in the liver at any stage in the progression of liver disease. Liver failure means that your liver is losing or has lost all of its function. It is a life-threatening condition that demands urgent medical care. The first symptoms of liver failure are often nausea, loss of appetite, fatigue, and diarrhea. Because these symptoms can have any number of causes, it may be hard to tell that the liver is failing. Liver failure is a life-threatening condition that demands urgent medical care. But as liver failure progresses, the symptoms become more serious. The patient may become confused and disoriented, and extremely sleepy. There is a risk of coma and death. Immediate treatment is needed. The medical team will try to save whatever part of the liver that still works. If this is not possible, the only option may be a liver transplant. When liver failure occurs as a result of cirrhosis, it usually means that the liver has been failing gradually for some time, possibly for years. This is called chronic liver failure. Chronic liver failure can also be caused by malnutrition. More rarely, liver failure can occur suddenly, in as little as 48 hours. This is called acute liver failure and is usually a reaction to poisoning or a medication overdose. Liver disease can be an inherited genetic condition or can be caused by any damage to the liver. Obesity is also a risk factor. Over time, damage to the liver progressively worsens until the liver begins to form scar tissue, commonly known as cirrhosis, which can lead to liver failure. The most common infection that damage the liver is Hepatitis. However other viruses and parasites can cause inflammation and reduce liver function. Autoimmune Diseases can attack certain parts of your body and can affect your liver. In cases of disease or infection, your doctor will focus on treating the underlying medical condition to minimize damage to your liver. Hereditary genetic abnormalities can also cause substances to build up in your liver, resulting in liver damage. The most common genetic liver diseases are Hemochromatosis, Hyperoxaluria and oxalosis, and Wilson's disease. In the event you have inherited an abnormal gene your doctor will discuss options for helping to maintain a healthy liver. Cancer can also commonly damage the liver, primary liver cancer, and liver adenoma. Bile duct cancer can also result in liver damage. Cancer survival rates increase the earlier it is detected. If you suspect cancer you should see your doctor as soon as possible. A healthy lifestyle can help keep your liver fully functional. Chronic alcohol abuse or obesity can often lead to problems with the liver. If treatment is sought early enough the liver can often heal itself. Traditional medical treatment options will depend on just how severe the damage is to the liver, and just how severe the symptoms. If caught early, more treatment options are available, and there is less risk of permanent damage. lifestyle changes such as stopping alcohol consumption and weight loss. If the problems become severe your doctor may prescribe medications or, if necessary, surgery. If untreated liver disease will progress through stages as the liver becomes progressively more damaged. Do You Have An Angry Liver? I wrote that title with a point in mind. If one appreciates the importance of the Liver, and the fact that its chief emotion is that of Anger when one suffers from imbalances of the Liver, there is a good chance the emotion of Anger, or one of its cohorts is present. Anger can be expressed outwardly or repressed and kept in, but either way, it will be present. Certainly, it is much better to express your anger in a healthy fashion, as anger acts as a great motivator. Its natural emotional expression supports a movement. It's used by the body to move things around when normal processes aren't working properly. For example, the body will use anger to clear a blocked artery or bowel. Pathologically though, the emotional expression is explosiveness. Involved anger fueled by other emotions or belief systems will cause extensive damage, such as ruptured arteries or broken bones. The surplus will also be stored in the connective tissue to be released later. Does the condition Fibromyalgia sound familiar to anyone? This is stored emotion within the connective tissue leading to pain because it isn't being released. A common form of pathological emotion is when it is used to 'move' something in our way. A person may be behaving in a way we do not like, so we use anger to move them out of the way. Appreciating other aspects of the Liver are important for overall health. The Liver can be equated to the "Grand Central Station" of the body, as everything will eventually need to pass through the Liver at one point or another. The Liver/Gallbladder together function as a partnership and are known in Traditional Chinese Medicine as the Wood Element. They represent the consciousness of the Soul, the storage site of all experience. 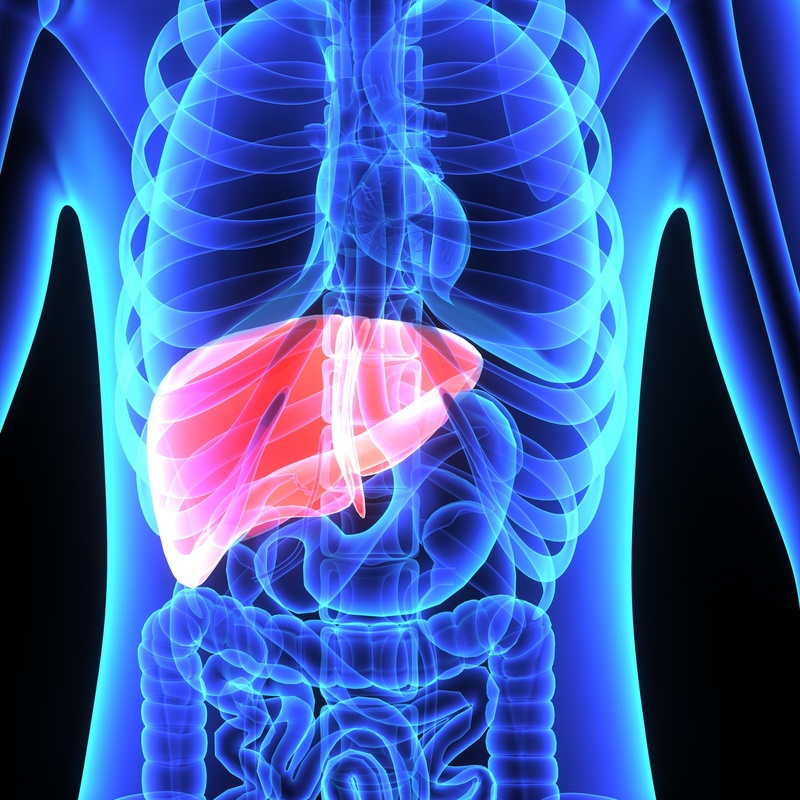 The Liver is responsible for planning, with metabolic activity and life adaptation. Muscles associated with the Liver are the Rhomboids that hold the shoulder-blades back against the body wall, and the Pectoralis Major Sternal muscles of the chest. The body areas governed by the Liver are the muscles, joints, tendons, and ligaments. Appreciating that piece, you should also appreciate that All Arthritis is a by-product of too many toxins in the Liver. It is because of these toxins overwhelming the Liver, that causes them to be deposited in the tendons and ligaments of the joints, leading to irritation and inflammation. For that reason, it is vitally important for the health of your joints that you keep your Liver clean and balanced. The main sense organ associated with the Liver is the eyes and the sense of sight. People who develop a need for glasses as they get older need to appreciate that it is because they have too many toxins in their Liver, and it is manifesting in the eyes. Most vision problems as one gets older can be equated to Arthritis of the eye. The lens doesn't expand and contract as it once did. It has become more rigid. This can be helped by restoring balance to the Liver. The fluid association for the Liver is the tears, as this helps to bathe the eyes. The taste associated with the Wood Element is sour. The other emotions associated with the Liver that I mentioned earlier are Anger, Irrationality, Frustration, and Aggression. Experiencing any of these on a regular basis will create Liver stress. If you appreciate that there is a natural flow of energy associated with the body, the energy is highest in the Liver between the hours of 1 am and 3 am. Therefore, if you are one who finds yourself waking between those hours of the night, it indicates that you are having trouble keeping your Liver energy balanced. Possible causes of this energy imbalance are usually due to experiencing one or more of the emotions just mentioned, on a regular basis. A good solution to these imbalances would be to come to the office and allow me to restore balance to your Liver by utilizing a very effective and simple technique called Neuro Emotional Technique. Through NET, I can eliminate the underlying reason for why you are storing these emotions within your Liver and the areas associated with the organ. This will allow you to release them in an agreeable way. I will also help you to develop a plan to change yourself, so you aren't experiencing those emotions on a regular basis. If so, you have Liver stress. Probably the most common condition associated with Liver imbalance is elevated cholesterol levels. Since the Liver manufactures cholesterol, too much indicates a Liver imbalance. This is why when the MD's recommend "Statin drugs," they will want to monitor the enzyme levels within the liver to be sure Liver pathology isn't starting to occur. Appreciate that Statin drugs suppress the normal functioning of the Liver which will lead to other complications. The most common of these is Diabetes. This is not something I recommend doing to yourself. As mentioned earlier, All Arthritis is controlled by the Liver. This includes the inflammatory ones like Rheumatoid, Metabolic types like Gout, and Degenerative Osteoarthritis, or Old Age Arthritis. What Can a Person Do If They Suffer From These Conditions? Clean up the Liver! Doing this while increasing your Omega 3 and 6 fats found in vegetables, nuts/seeds and seafood will go a long way toward naturally fighting off the painful effects of these arthritic conditions, as these products promote anti-inflammation. Have You Been Told You Have Liver Disease? If so, sitting down with Dr. Huntoon, who has 28 years of helping people reverse their Liver Disease would be important. He will help you understand everything about your liver and why it is not working properly. He will also help you restore normal function to your liver so that you do not continue to suffer. All of this can be done without medication. Something to strongly consider. If you suspect your liver is not functioning normally, you should discuss your symptoms with your doctor. Test can be run to determine the exact cause of your symptoms, and the severity of any damage that may have occurred. Once you have this information, call Dr. Huntoon, as Medical Treatment will focus on suppressing your symptoms with medication that will increase the stress and disease of your liver. You also might consider doing our Doctor Supervised Detoxification Program through the office which is designed to clean out all of your body's filtration systems. These include the Liver/Gallbladder System along with the Lung/Large Intestine/Skin System and the Kidneys. A more complete description of the program is offered HERE. Spring Time is the best time of year for a Detoxification Program, as the energy for the Liver/Gallbladder System will be at its highest during that month. And with the expanding and growing energy of Spring, represented by the Liver/Gallbladder System, why not allow the natural energy flow occurring there to assist you in some Spring Cleaning. To truly find out what you can do to detoxify your whole body, while restoring balance to your Liver in the process call the Office at 845-561-2225. If you want to get an early start, the Detoxification Season begins March 21st, the first day of Spring. Working with Holistic Chiropractor who is well versed in all health concerns and has experience is helping to detoxify and support normal liver function becomes vital. Especially with all the health concerns associated with the liver. Allowing your liver time to rest and heal can be vital. You can support this detoxification process by making healthy lifestyle changes. First, we would recommend stopping drinking alcohol while you only any detoxification program. Second proper diet and exercise can be vital. By eating healthy, working out, and losing weight less strain is placed on your liver. This will allow your body to more easily purge the toxins from your system and speed your recovery.